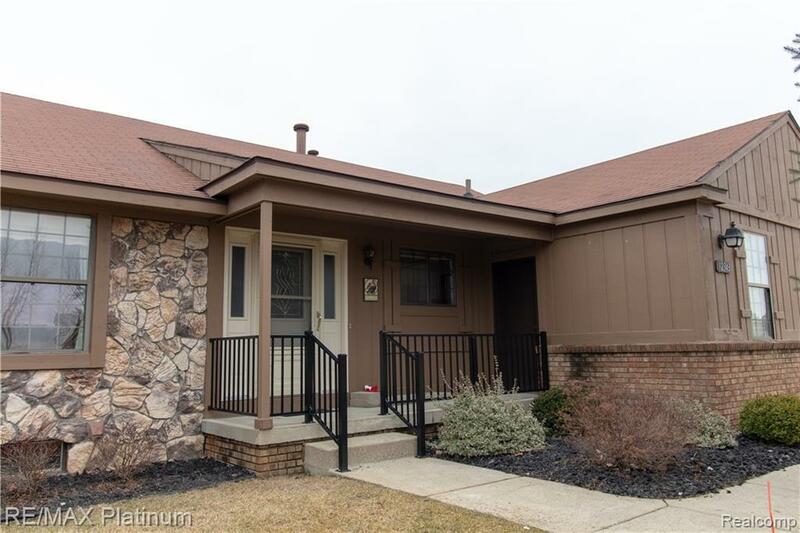 Hard to find, affordable ranch condo in highly desirable 55+ community! Rare, 1 bedroom, 1 bath unit with fireplace and Florida room. Ceramic tile in kitchen and bath. 1 Car attached garage with direct access and covered porch. All appliances stay. Gorgeous clubhouse and private beach on Crooked Lake. Co-Op Members have access to free usage of fishing boats, canoes, kayaks and paddle boats. Association fees include water, lawn care, snow removal, and repair/replacement of sump pump, water heater and boiler. Great location close to downtown South Lyon. Hurry in and enjoy a care free lifestyle today!